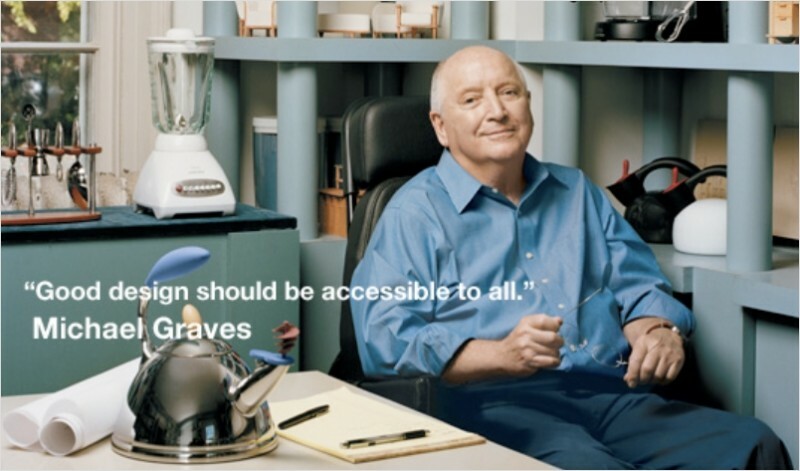 You may have heard of Michael Graves’ before, especially if you shop at Target for kitchen gadgets. A man who had been paralyzed for only 11 years but designed both memorable buildings and high-style health products (and teaching design at Princeton along the way), Michael’s goal in architecture was to always be about making functional things more beautiful. And boy did he succeed. Michael is the mind behind hundreds of stunning buildings all around world, including Disney’s headquarters in Burbank, California. He was a powerhouse architect since the ’80s and continued designing until the day of his death. A few health setbacks never turned off Michael Graves’ desire to design, it only fueled his desire to design.